AFSC staff continues to meet with a group of youth at Central High School (continuation day school) in the Mar Vista Housing Projects on a weekly basis. 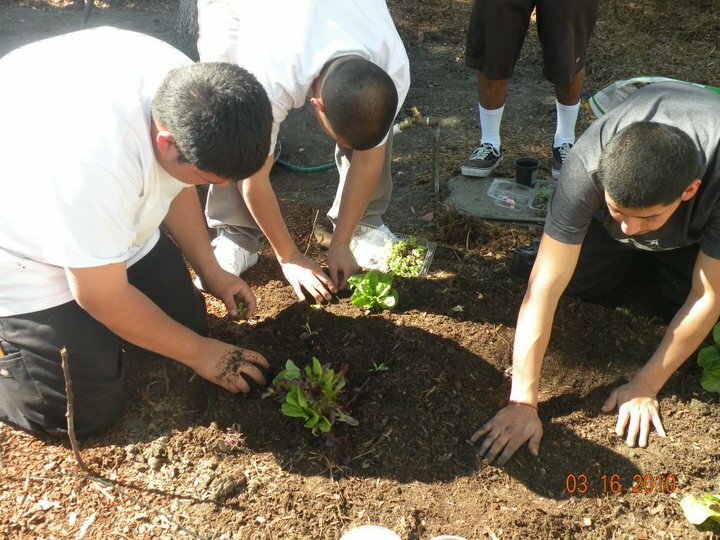 This semester youth continued to utilize the school garden as an important multi-dimensional learning space. Chosen topics included environmental justice, soil development, and the preparation of healthy foods. In addition, during and outside of class sessions, youth continue to support the community garden they helped to construct last year. Youth have attended group meetings, potlucks, and discussions around policy change; embracing the community garden as an important space for uplifting the housing project. In the Spring 2015, we had a few guest speakers and volunteers come to the garden to facilitate various workshops including healthy soil and growing practices, aquaponics, integrated pest management, planting 101, healthy watering practices, and food/medicine. We are grateful of the participation of various organizations and people who made this semester possible. 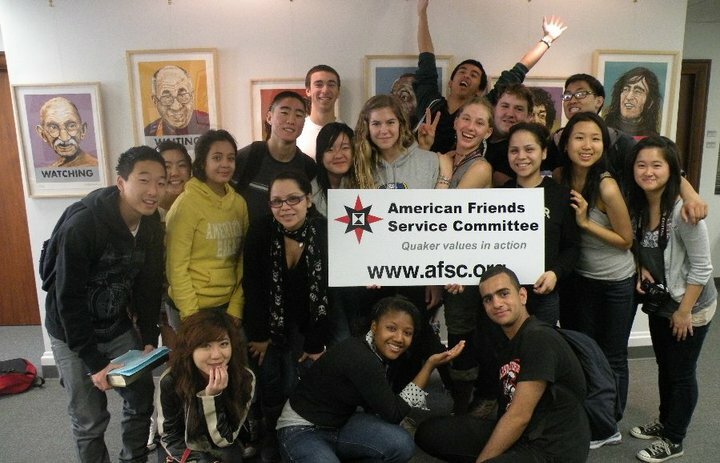 In December 2014, a core group of youth from central high school worked with AFSC staff to organize an unparalleled youth summit in the Mar Vista Housing Projects. Organizers distributed flyers to all residents in the housing complex. The invitation was meant to gather youth in the complex to discuss policing, safety, arts, community health, and community organizing. The summit brought together fifteen new youth, five core youth, and various adult volunteers. The event was held in the Community Center inside the Mar Vista Gardens Housing Complex, a space provided by RAC (Residential Advisory Board) who also provided resources such as water and a kitchen. Workshops sessions were provided by ally organizations including the Community Rights Campaign, Street Poets, and LACE (Liberation Arts and Community Engagement). Youth hope to continue organizing the next summit in 2015!